Some pretty strange stuff has happened in my life in the past few days, so I’m doing what we writers do: I’m writing about it. The truth is, my present work-in-progress has taken a hit. A rather dramatic, fiery one. My next ghost-romance, Spirits of the Heart, was progressing along nicely. 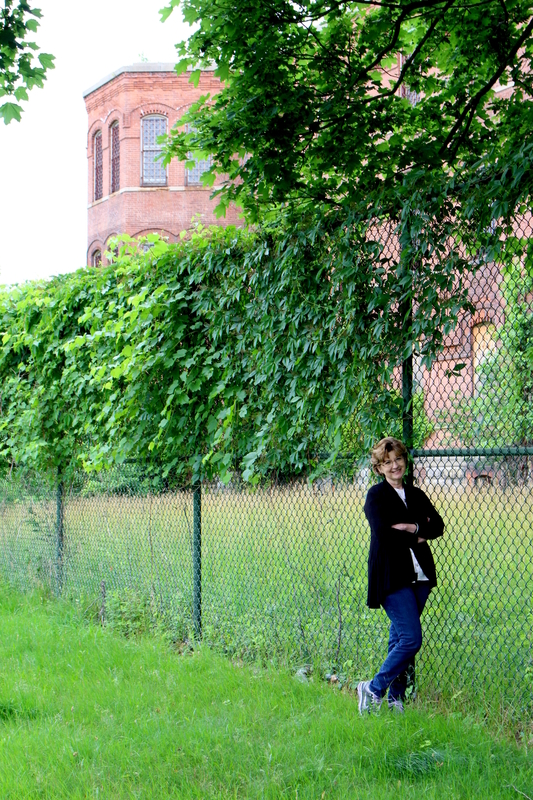 Two weeks ago, for inspiration, I spent an entire day with my sister-in-law, Terri, driving around the “site” for my story—the abandoned mental asylum in Middletown, New York. I hadn’t been there in years, and oddly, much of the descriptions I’d already written aligned quite accurately with the actual. The main building (in my story, anyway) is Talcott Hall, a massive, 19th century architectural masterpiece in brick, complete with arched windows and turrets. 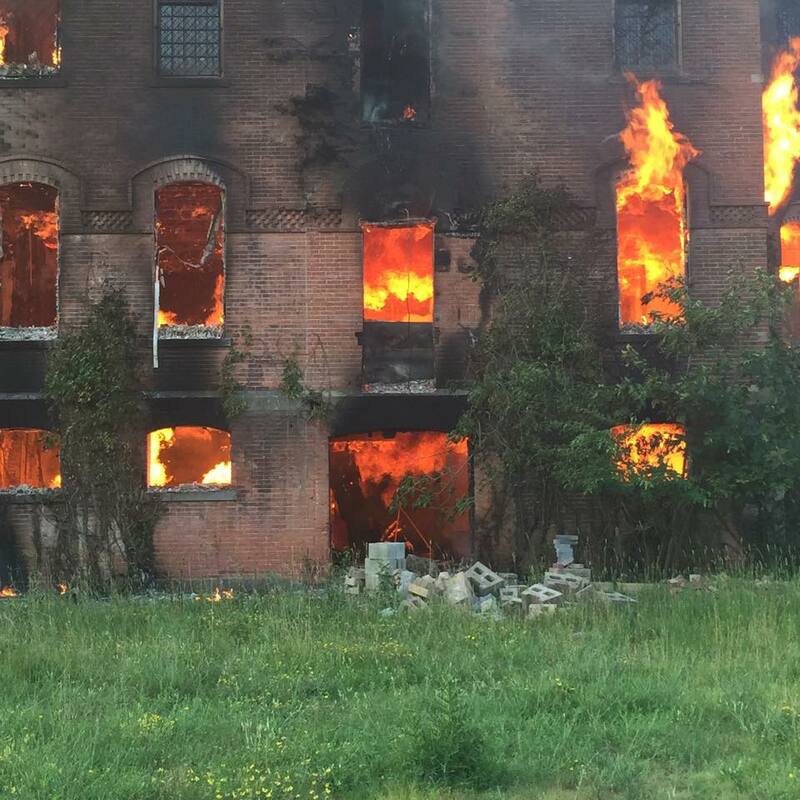 On Sunday, a friend on Facebook announced, “another building at Middletown Psychiatric Center is on fire.” I quickly called Terri, who lives there. Yes, she confirmed, there is something burning. “I hope it’s not Talcott Hall,” I said with a silent prayer. Sadly, it was. 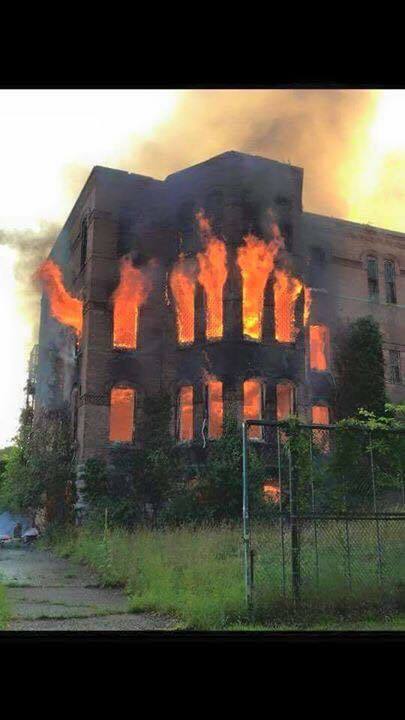 The local fire department’s Facebook page posted extensive, quite impressive photos of the building ablaze. Yesterday, Terri told me the excavators were pulling down what remained of the once gorgeous brick exterior. “I feel like I’ve been to a funeral,” Terri said. I couldn’t agree more. I know my story is fiction, and the characters and the situations I created in and around this historic building weren’t harmed in the fire. But after spending an entire day with Terri, driving around the campus, talking about the story, imagining the scenes out loud, and taking pictures (she’s a photographer and also serves as my muse), I can’t help but feel a profound sense of loss. The event, sad to say, has jarred my sense of forward momentum in writing Spirits of the Heart. In its day, Talcott Hall housed the “hopeless” patients—those so deeply mentally disturbed, there was little hope for their release into society. Yet when the Psych Center closed in the 1990s, some of them were. Others were moved to Rockland Psych Center, losing a home that for them had been their only one, for most of their lives. The lovely old building in Middletown sat empty, prey to vandals and the decaying effects of neglect and time, for the past twenty years. Why did this happen now? 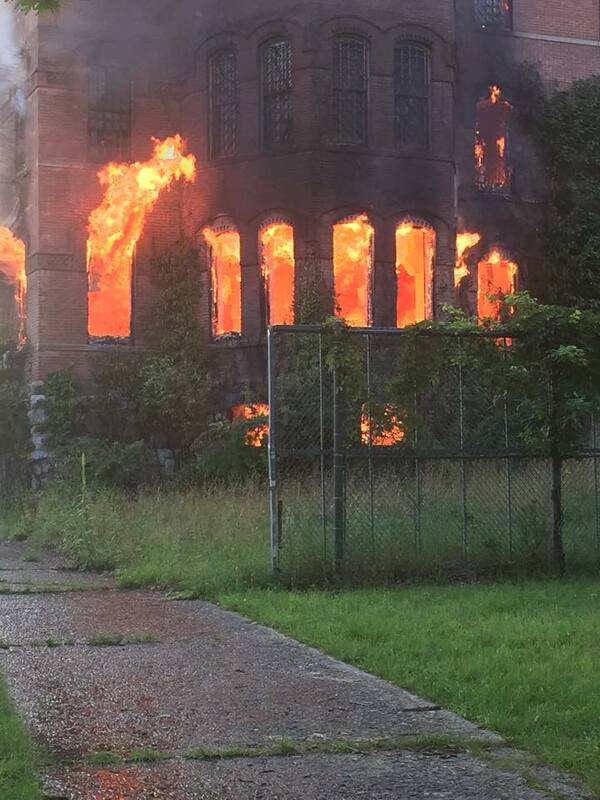 Why, after sitting there for that long, and just two weeks after we visited and discussed the possible hauntings of the place, did fire swallow it whole? Did we stir some spirits to such agitation they decided to start their own funeral pyre? Were there records housed inside the state didn’t want the public to uncover? Or did we anger a god who didn’t want these spirits’ stories to be told? This is fact: we all know now that Talcott Hall did not survive the fire of July 2015. The question is this—will Talcott Hall survive in my imagination? In my novel, Spirits of the Heart? I believe it will. It must.